- A4 Adult Textured Polo. - 100% Textured Polyester Warp Knit. 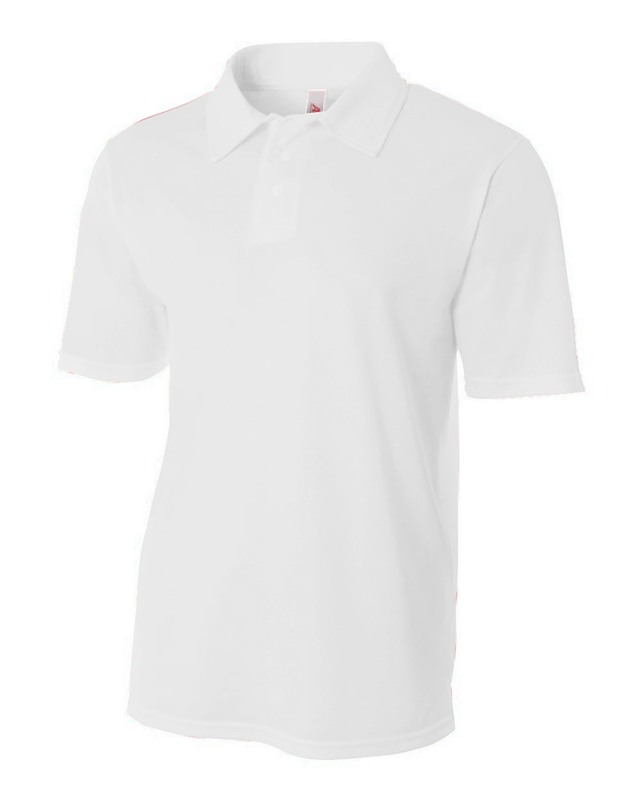 A4 Adult Textured Polo. 100% Textured Polyester Warp Knit. Moisture wicking. Odor resistant. Stain release. 3-button placket. Open sleeve and self collar.Sizes: S-3XL. Colors: White, Black, Gold, Graphite, Light Blue, Navy, Royal, Scarlet.